It’s been right at a year since the last update, and as time has gone along, I have considered making more posts to relay the progress of the company. Having the time to write has been the primary deterrent so far. On January 12, 2018, Snowbird Banjo Company, LLC was officially incorporated the establish the company a little more. 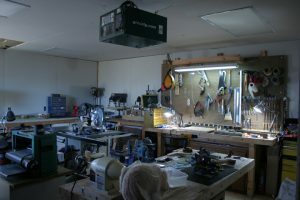 While the banjo production has been slow due to shop work as well as many other responsibilities that have taken my time, work on the infrastructure has continued. We have even issued a new logo to further direct the feel and goals of the business. While these do very little to make banjos, they do help to sell the instruments once the production has begun. 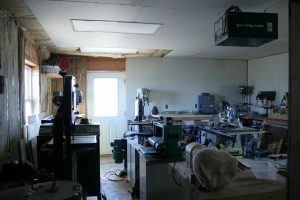 Work on the shop has continued with plywood going up on all but one wall, and sheetrock covering the plywood. The lighting is wired up, though the runs do not go to a live electric panel just yet. We’re going to have to run a new electric run to our service pole due to the wiring being too light a gauge for a 200 amp service. It’s a long story, but it involves just trying to get out of the RV and at the time, the available funds were not there. It’s very apparent that it is needed now. As of this writing, I have made progress on two banjos. One to sell, and one to use as my personal banjo. These banjos have taken quite a long time and I have no idea how much time has been invested in these due to moving to Alaska and back. I’ve been working on these two on and off for about 4 years. HA! Thankfully, I’m getting organized and settled enough to knock these two out. I have 5 more necks ready to be started after these two. The rims will have to be worked on as they were turned on a failing lathe. That lathe has been replaced with a new grizzly lathe. 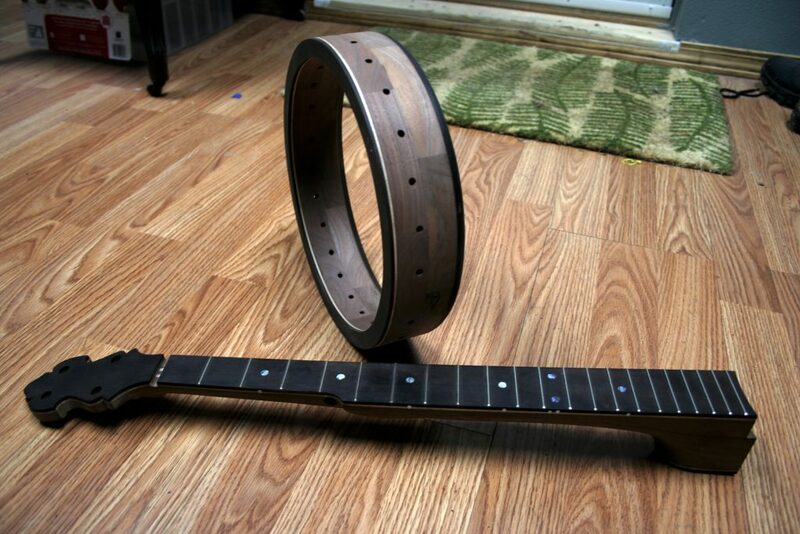 I still have yet to set up my cross table and boring rig to turn the rims, but I’ll tackle that job on the next banjos. For now, the banjos I am trying to complete are finished beyond the lathe turning step. Thank you for hang on with us through this ride of roller coaster and moving here and there. The wandering is finally coming to a close. Good luck on your new venture from a UK banjo player (I use the term loosely! ), its so good to see an American banjo making being carried on.